A list of famous female authors. Sappho (c.570 BCE) One of the first published female writers. Much of her poetry has been lost, but her immense reputation has remained. Plato referred to Sappho as one of the great ten poets. Hildegard of Bingen (1098–1179) Mystic, author and composer. Hildegard of Bingen lived in a convent, but her writings, poetry and music were revelatory for the time period. Mirabai (1498–1565) Bhakti poet. Mirabai wrote many devotional poems and bhajans to Lord Krishna. She left her privileged lifestyle to live as a wandering ascetic. Her poetry and bhajans remain influential today. Mary Wollstonecraft (1759–1797) Feminist and author. Her work, A Vindication of the Rights of Woman (1792) was an early and influential defence of women’s’ rights. Jane Austen (1775–1817) English author who wrote romantic fiction combined with social satire. Her novels include Sense and Sensibility (1811), Pride and Prejudice (1813) and Emma (1816). 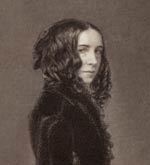 Elizabeth Barrett Browning (1806–1861) A popular English poet of the Victorian age. Many of her poems carry religious/spiritual images. Important poetry collections included The Seraphim and Other Poems (1838) and Poems (1844). 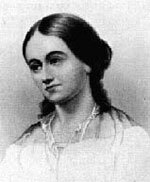 Margaret Fuller (1810–1850) An American women’s rights advocate. Her book Women in the Nineteenth Century (1845) was influential in changing perceptions about men and women and was one of the most important early feminist works. 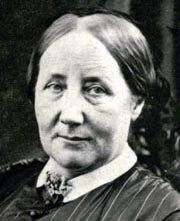 Elizabeth Gaskell (1810–1865), British novelist and biographer. She wrote novels depicting life in Victorian Britain, including Cranford (1851–53), Ruth (1853) and North and South (1854–55). She also wrote the first biography of Charlotte Brontë. Harriet Beecher Stowe (1811–1896) Harriet Beecher Stowe was a life-long anti-slavery campaigner. Her novel Uncle Tom’s Cabin (1852) was a bestseller and helped to popularise the anti-slavery campaign. Other works include Palmetto Leaves (1873) and The Minister’s Wooing (1859). 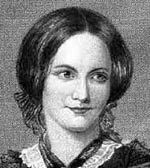 Charlotte Brontë (1816–1855) English novelist from Haworth, Yorkshire. Eldest of the three Brontë sisters, Charlotte is best known for her novel Jane Eyre (1847). She also wrote Shirley, (1849) and Villette (1853). Emily Brontë (1818–1848) One of the Brontë sisters, Emily is best known for her only novel Wuthering Heights (1847). Wuthering Heights is considered a classic of English literature. Emily also wrote poetry. 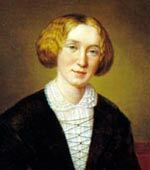 George Eliot (1819–1880) English novelist who was one of the leading writers of the Victorian period. She wrote under a male pseudonym because she felt it would help her to be taken more seriously. Important works include The Mill on the Floss (1860), Middlemarch (1871–72), and Daniel Deronda (1876). Emily Dickinson (1830–1886) American poet. During her life, she wrote many short, vivid poems, often on the themes of death and immortality. During her lifetime only a few poems were published, but after her death, they gradually became popular and influential in modern poetry. Christina Rossetti (1830–1894), English poet. Rossetti wrote a variety of devotional and romantic poetry. 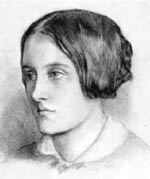 Her best-known works include the long poem Goblin Market (1862), and the poem Remember. She also wrote the words to the Christmas carol In the Bleak Midwinter. 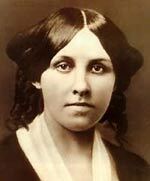 Louisa May Alcott (1832–1888) American novelist. Alcott is best known for the novel Little Women (1868) and the follow-up novels, such as Little Men (1871) and Jo’s Boys (1886). Beatrix Potter (1866–1943) English conservationist, best known as the author of Tales of Peter Rabbit (1902) and other books in the series, such as The Tale of Squirrel Nutkin (1903). Potter also drew the illustrations to accompany the stories. 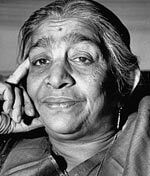 Sarojini Naidu (1879–1949), Influential Indian author and Indian independence activist and poet. She has been referred to as the ‘Nightingale of India’. She published her first collection of poems The Golden Threshold in 1905. Famous poems include: To a Buddha Seated on a Lotus, Suttee, and In the Bazaars of Hyderabad. 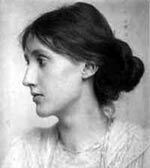 Virginia Woolf (1882–1941) English modernist writer, and member of the Bloomsbury group. Famous novels include Mrs Dalloway (1925), To the Lighthouse (1927) and Orlando (1928). 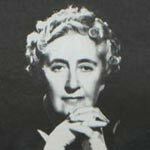 Agatha Christie (1890–1976) British crime writer. Many of her books focused on series featuring the detectives Hercule Poirot and Miss Marple. 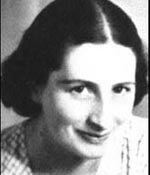 Vera Brittain (1893–1970) British writer best known for her autobiography Testament of Youth, sharing her traumatic experiences of the First World War. 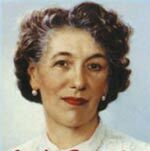 Enid Blyton (1897–1968) British children’s writer, known for the popular children’s book series, The Famous Five, and The Secret Seven. Blyton wrote an estimated 800 books over 40 years. 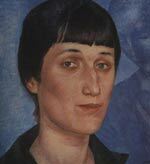 Anna Akhmatova (1899–1966), Russian/Soviet poet. She lived through the Stalinist purges in the Soviet Union. 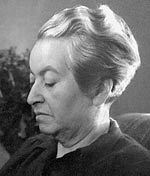 Her longest work Requiem (1935–40) refers to the tragedy of the political turmoil under Stalin. Barbara Cartland (1901–2000) One of most prolific and best-selling authors of the romantic fiction genre. She wrote 700 books and is estimated to have sold close to 1 billion books. 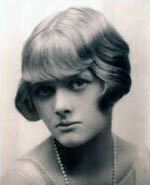 Daphne du Maurier (1907–1989) English author. She wrote novels and plays. Famous works include Rebecca (1938). Some of her works were made into films, including Jamaica Inn (1936) and the short story Birds which was famously made into a film by Alfred Hitchcock. 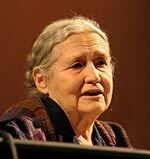 Doris May Lessing (1919–2013) British author. Lessing was awarded the Nobel Prize for Literature in 2007. Significant works include The Grass is Singing (1950), Children of Violence (1952–69), The Golden Notebook (1962), and The Good Terrorist (1985). 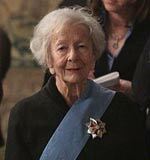 Wislawa Szymborska (1923–2012) Polish poet, essayist. She received the Nobel Prize for Literature in 1996. She has been described as the ‘Mozart of Poland’. Her poetry was noted for its precision, irony and ambiguity. 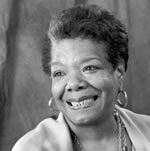 Maya Angelou (1928–2014) Modern American poet and author. Angelou is best known for her autobiographical works, such as I Know Why the Caged Bird Sings (1969). 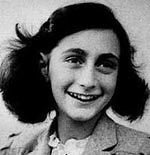 Anne Frank (1929–1945) German Jewish diarist. Known for her diary Anne Frank published after her death, recalling life hiding from the Gestapo in Amsterdam. 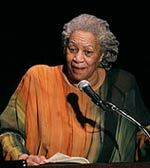 Toni Morrison (1931– ) American novelist. She received the Pulitzer Prize in 1988 and the Nobel Prize for Literature in 1993. Her best-known works include The Bluest Eye (1970), Sula (1973), Song of Solomon (1977) and Beloved (1987). Sylvia Plath (1932–1963) American poet and novelist. 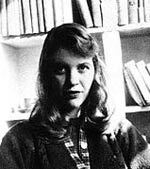 Plath is best known for her poetry, which advanced a confessional style of poetry. Two of her best known published collections include The Colossus and Other Poems (1960) and Ariel (1965). She was awarded the Pulitzer Prize in 1982. Margaret Atwood (1939– ) Canadian poet and novelist. 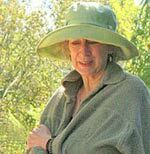 Atwood is best known for her poetry and novels. Influential poetry collections include The Circle Game (1964). Booker prize nominated novels include The Blind Assassin (2000) and Oryx and Crake (2003). 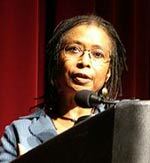 Alice Walker (1944– ) American author. Walker is best known for her critically acclaimed The Color Purple (1982). The book focuses on the experiences of black women in the Deep South during the 1930s. The book was awarded the Pulitzer Prize in 1983. Danielle Steel (1947– ) One of the best selling authors of all time. Steel has sold over 800 million copies of her Romance genre novels. Since her first book was published, every book has entered into bestseller lists for paperback and hardback. Arundhati Roy (1961– ) Indian author and political activist. 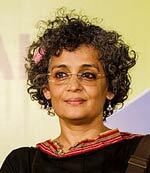 She is best known for her novel The God of Small Things (1997), which was awarded the Booker Prize for Fiction in 1998. J.K.Rowling (1965– ) British author of the Harry Potter Series – one of the best selling books of all time. Since the 7th and last in the series, Harry Potter and the Deathly Hallows (2007), Rowling has branched out into books for adults: The Casual Vacancy (2012) and The Cuckoo’s Calling (2013), among others. Citation: Pettinger, Tejvan. “Female authors”, Oxford, www.biographyonline.net 23rd May 2010. Updated 27th September 2017.